CRISIS in a family can be a life changing moment. For Tan Sri Lim Kim Hong, born to a poor family of 10 children, the passing of his father when he was the wide-eyed youngest child means making the hard decision to drop out of school because of financial constraints. Deprived of pursuing a formal education beyond Standard Six, Lim ventured into the world of grown men, learning to earn a living and at the same time honing his skills as an entrepreneur. Lim, 61, however did not foresake the morsels of education that was imparted to him. His affinity for mathematics, in which he was a top performer when he was in school, helped hone his business acumen and gave him the impetus to strike out on his own as an entrepreneur. Lim has ventured into several pioneering projects ranging from spring mattresses in Malaysia and China, stainless steel pipes and fittings, digital products and property development. He professes that his beliefs and traits in life had been influenced and shaped by his childhood.Although Lim can beam with pride now and describes his journey in life thus far as “an achievement beyond expectation”, he still sheds tears when he digs deep into his memory bank, recollecting those difficult days in his childhood. Looking back, Lim believes those difficult days had taught him some profound lessons about not giving up when the going got tough. Not one to resort to “short cuts”, he worked hard and believes in gaining the trust of people he comes across in life. “My life philosophies include adhering to responsibility, transparency and honesty. I also practise the Confucius classics of honour and mutual gains with whomever I interact. Incidentally, they are entrepreneurial traits and they have naturally made me more of an entrepreneur than just a businessman. “I believe it is important to gain the trust of people by being honest, and keeping to our words. You’ll never know when our paths will cross again and we’ll need those attributes to keep ourselves well prepared to be able to see and clinch opportunities that come our way,” he shares his thoughts. After dropping out from school, Lim underwent a three year stint as an apprentice at a furniture making shop in Muar. He met some good samaritans who trusted him and extended various forms of assistance, such as supplying him with raw materials for furniture making. That gave him the opportunity to strike out on his own as a carpenter. He believes everyone would have at least two to three opportunities during their life time to “make good in life”, and the onus is on the individual to see those opportunities when they turn up. Lim points out that before one achieves success, a person was bound to face adversities in one form or another. He also challenges himself to “scale a higher hilltop every few years”. Whenever he reaches a certain level of success, he will assess its limits to growth. He says this resulted in him starting the country’s first spring mattress venture under the Dreamland brand, which “revolutionised” the local bedding market and the sleeping habits of Malaysians. That “break” actually earned him the de-facto title of “Mattress King” and the Dreamland mattress became an instant success. Within a year, Lim’s company, Dreamland Holdings Bhd became the local market leader. 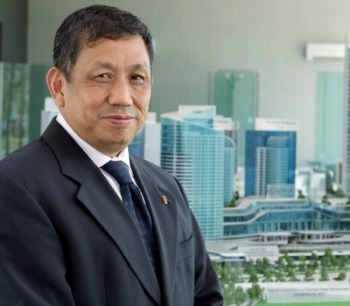 He then set his sights on the vast China market and became the first Malaysian to venture to China in 1984 with the opening of his first offshore plant in Tianjin. This was followed by 11 more plants in Shanghai, Dalian, Qingdao, Xian, and other locations in China over the next decade. Dreamland was listed in 1987 and in 1993, Lim decided to cash out by selling the company for RM350mil cash. Armed with that war chest, Lim ventured into investing offshore in Singapore, China and Hong Kong. He also bought some prime land in Kuala Lumpur and Shah Alam, including a 90 acre parcel in Section 7, Shah Alam, that is now being developed into an RM3bil digital landscape called i-City. In addition, he bought over Sanyo Industries Malaysia Bhd in 1999, a public-listed company manufacturing electrical products and renamed it I-Bhd. Due to competition, the production of “white goods” that included air conditioners and rice cookers were phased out. I-Bhd then ventured into digital products including computers, notebooks, cameras and LED televisions for about two to three years before production ceased. In 2007, the company focused on property development with its maiden flagship project, i-City. Despite critics having predicted failure of the project from the start (due to the many negative factors and prevailing restrictions), Lim says he went ahead with the project taking into consideration the social benefits it would bring to the local community. Lim also admires Malaysia’s first prime minister, the late Tunku Abdul Rahman fondly known as Bapa Malaysia and the late P. Ramlee. Going forward, Lim sees himself setting aside a little more time for himself and his wife to pursue other interest besides work. “All this while, my focus has been on stability and building up the business to increase shareholders’ wealth and bring benefits to society, leaving little time for myself as the business requires plenty of effort, personal attention and time. “My wife and I used to spend almost all our time at work, but now we try to take time off for leisure. We try to go overseas as we are always inspired by new ideas from ourtravels, and we always try to keep abreast with the latest technology. His two sons, who are aged 40 and 37, are striking out on their own. As for philanthropy, Lim says he will continue to donate towards providing education for the poor. “Education can provide breakthroughs for the poor. With education, the sky is the limit,” he says. Lim’s advice for young Malaysians in order to do well and be successful in life was to be diligent, passionate and honest. “But there is no substitute for integrity. If you are honest and hardworking, you will find success. Luck sometimes help, but luck is only an accelerator. If you are not diligent or have no passion in what you do, you will not recognise the lucky breaks when they come.